Cristin Davidson, PhD, is a postdoctoral fellow at NIH, and performed graduate and postdoctoral training at the Albert Einstein College of Medicine, Bronx, NY. 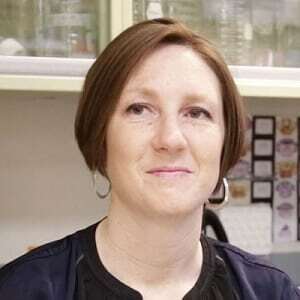 Dr. Davidson has been involved with NPC research for over 10 years and her graduate studies focused on the treatment of a murine model of NPC disease with HPBCD, a compound whose therapeutic effects she co-discovered in 2006. Her role within SOAR-NPC is coordination of research amongst the three SOAR scientists and adjunct laboratories to efficiently move drug candidates through the drug pipeline as well as serve as a liaison between the SOAR labs and family support groups.